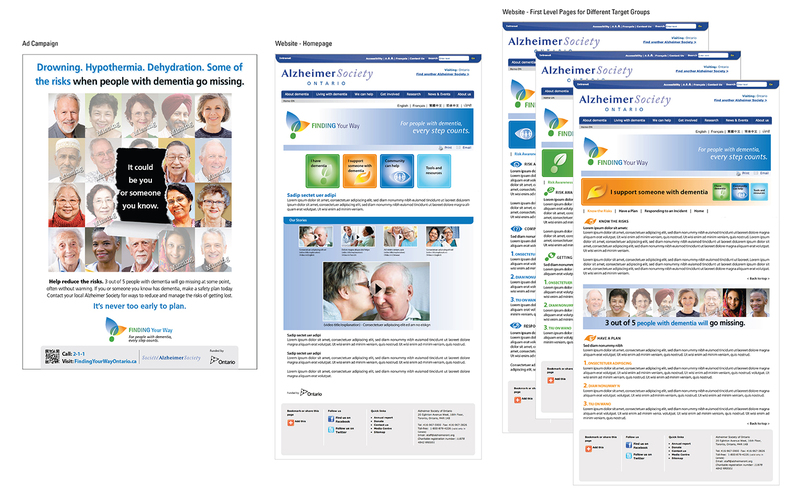 In the 2013 So(cial) Good International Design Awards organized by Association of Registered Graphic Designers (RGD), "Finding Your Way" Program Campaign Design Series created for Alzheimer Society of Ontario was selected to be one of the final 42 winner projects for the 4 main categories. There were 190 entries submitted from 7 countries. 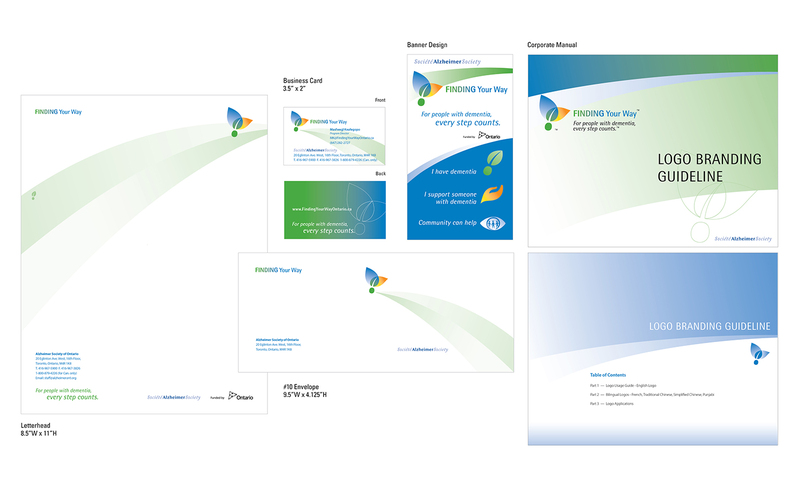 The design branding is one of the winning projects in the "Not-For-Profit Client-Initiated" Category. 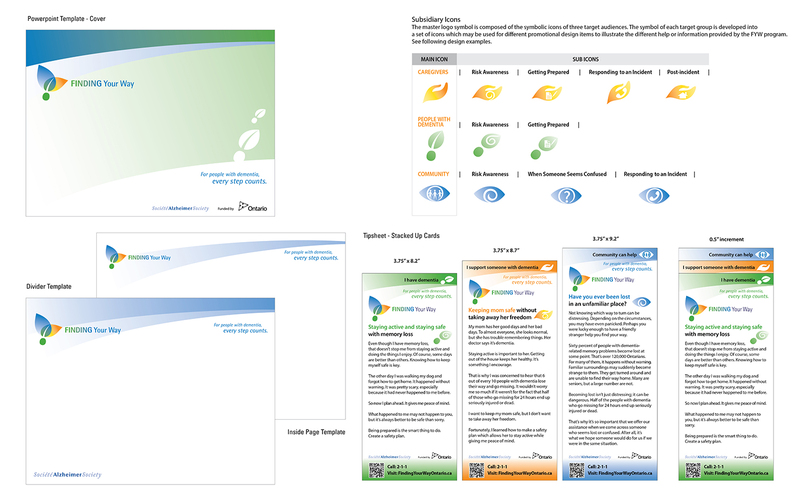 Helena Ng Design served as the Creative Director and Designer for Focus Communications Canada Inc. in this whole campaign series for the client. 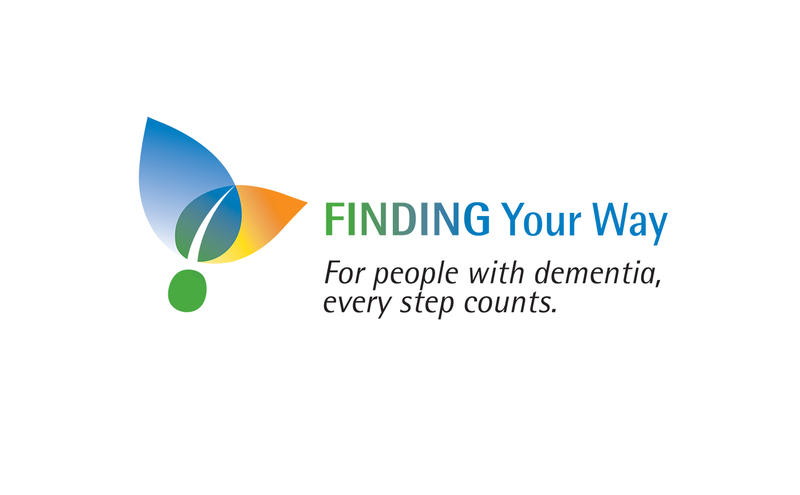 Finding Your Way Program Design Campaign is developed for a government-funded program of the non-profit organization, Alzheimer Society of Ontario. It offers practical advice on how people with dementia can stay safe while staying active. It shows how to best deal with the risk of going missing. The launching campaign series contains various items from logo branding, printed collaterals such as stationeries, ads, manual to banner, power point, website design…etc. The newly-launched branding was applied into a series of advertising promotions. Since Canada is a multi-cultural country, this program especially addresses the increasing number of Dementia and the needs of the ethnic group in this issue by adapting all the design items into different languages. So during the design process, the main challenge is to design a simple, friendly and universal-looking logo that do not cause any sensitive cultural sensitivities. In the logo concept, a more abstract approach is taken. A leaf is used to represent a person with dementia. It symbolizes the state of getting lost. There are 3 simple different shapes in yellow, blue and green. 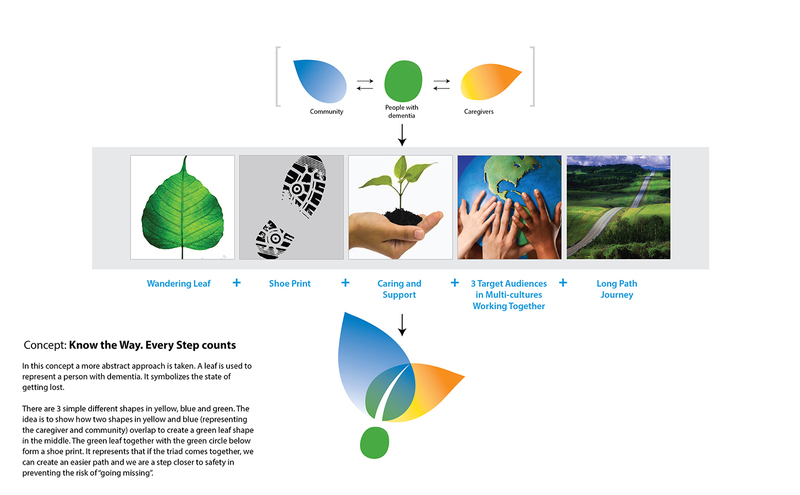 The idea is to show how two shapes in yellow and blue (representing the caregiver and community) overlap to create a green leaf shape in the middle. The green leaf together with the green circle below form a shoe print. It represents that if the triad comes together, we can create an easier path and we are a step closer to safety in preventing the risk of “going missing”.